Over the weekend, the Warren County History museum was able to conduct a search for Nizzie the elephant, that belonged to the Great Nicola and is said to be buried in some part of Monmouth. The data that was collected over the weekend is still being analyzed, and will be announced as soon as it has been finalized. 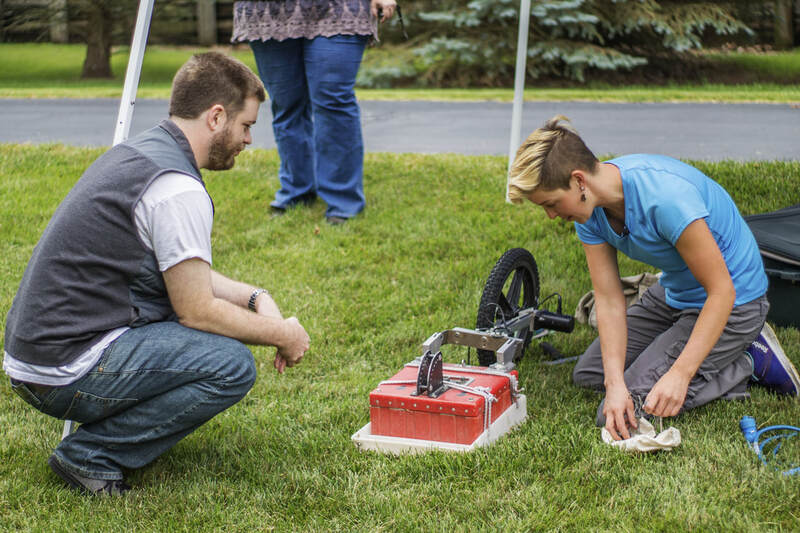 Kellen Hinrichsen's former professor Dr. Lawrence Conyers from the University of Denver was able to share his expertise and provided the ground penetrating radar equipment (GPR) to be used during the project. One of his current students, Shayleen Ottoman was able to do all of the field work needed, and is currently doing the analysis of the data. 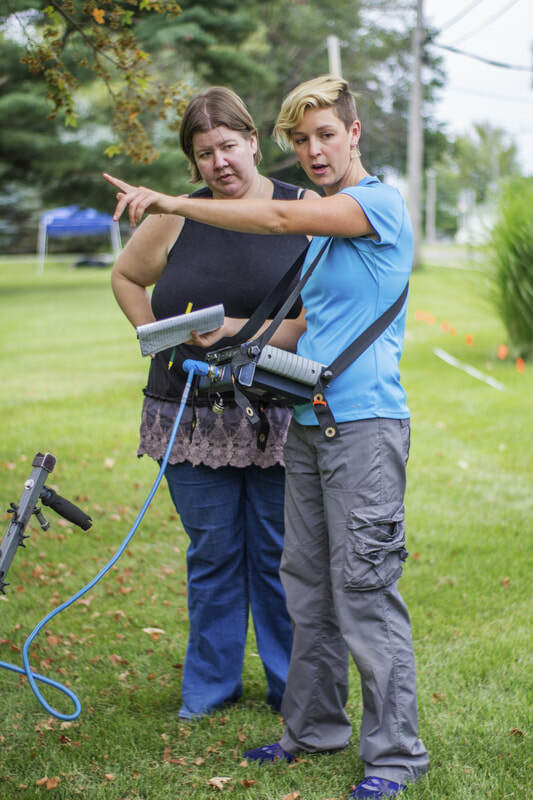 Members of the Monmouth College (MC) community were also able to come out, help, and learn about the process of GPR. History professor Christine Myers brought some of her students from the Summer Opportunities for Intellectual Activities program at MC. History professor Michelle Damian and Classics professor Jennifer Martinez-Morales, and various other MC students showed up throughout the weekend to help research the location. 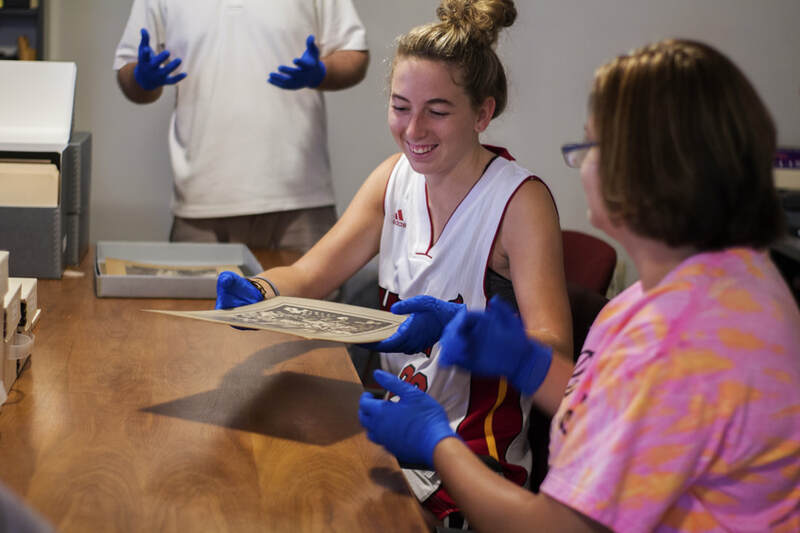 In a continuous effort for the Warren County History Museum to collaborate with the Monmouth College (MC) community, the museum was able to take part in a project for the Summer Opportunities for Intellectual Activities (SOfIA) program. This educational program at MC allows students to participate in research during the three weeks before classes begin. 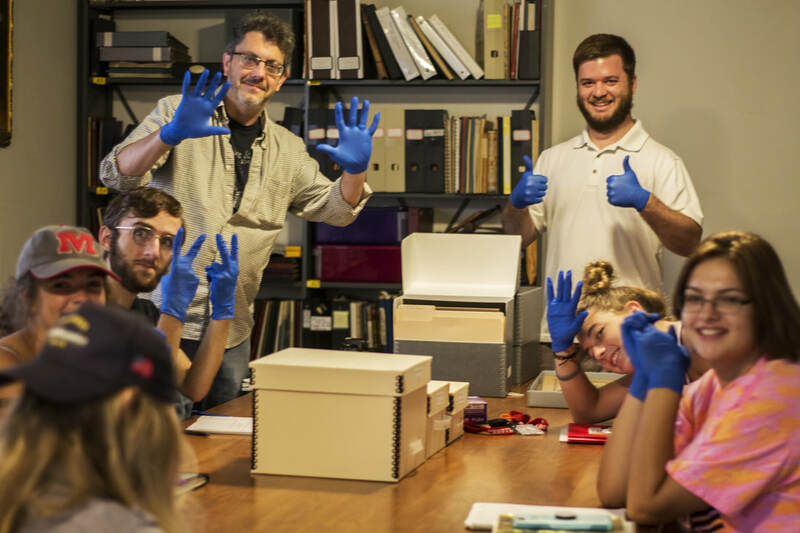 David Wright, MC english studies professor, wanted to have his SOfIA students write poetry based on photographs, documents, and objects from the museum’s collections, with the help of Kellen Hinrichsen, the museum director. 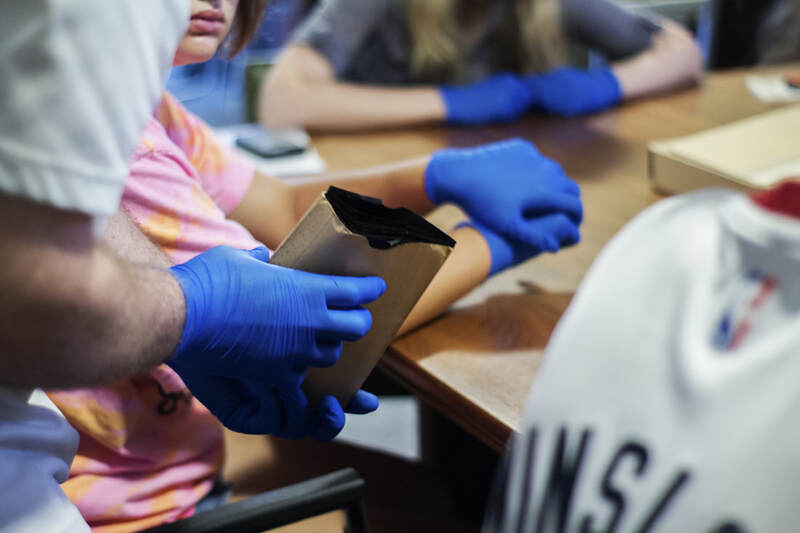 The SOfIA program offers a wide range of projects that students can be a part of from many different disciplines ranging from biology to exercise science to english; and each student receives a $500 stipend along with room and board for the three week program. “[SOFIA] gives [incoming freshmen] an early taste for what it's like to surprise ourselves with discovery in the midst of hard work, and a chance to experience the pleasures of working with other smart, engaged folks,” Wright said, “That's an incredible thing to experience right at the start of a college career.” This group of students consisted of one sophomore and four first- year students: Maddisen Nelsen, Kensey Arlt, Connor Schmall, and Hannah Decker. All of the SOfIA groups take part in presenting their projects to the rest of the faculty and students involved in the program. Last Friday was Wright’s group’s turn to present, and the students were able to share a few poems that they wrote, as well as what they learned and their experiences. The group also discussed the ethics of making up a backstory for the people in the photographs, who could still be alive or have relatives who could recognize them in the pictures being used with artistic freedom in the poetry. This collaboration between the college and the museum for the SOfIA project is only one of many that Hinrichsen has been a part of during his short time as the museum director. 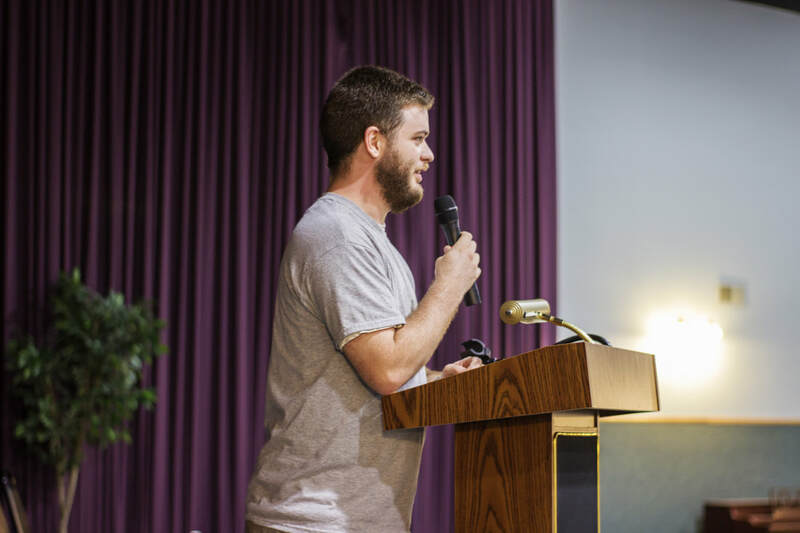 Many of these include talks that Hinrichsen has given in various MC classes, the internship opportunities, a couple of exhibits, among others. 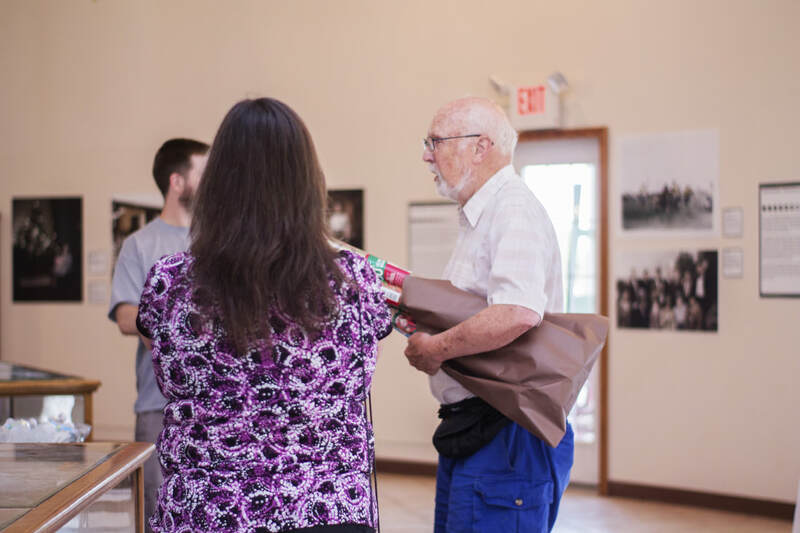 Hinrichsen hopes to continue working with the college community, and show the students how the local history museum can be a great resource for their education. The Warren County History Museum has recently finished renovating a new gallery space for upcoming exhibits. 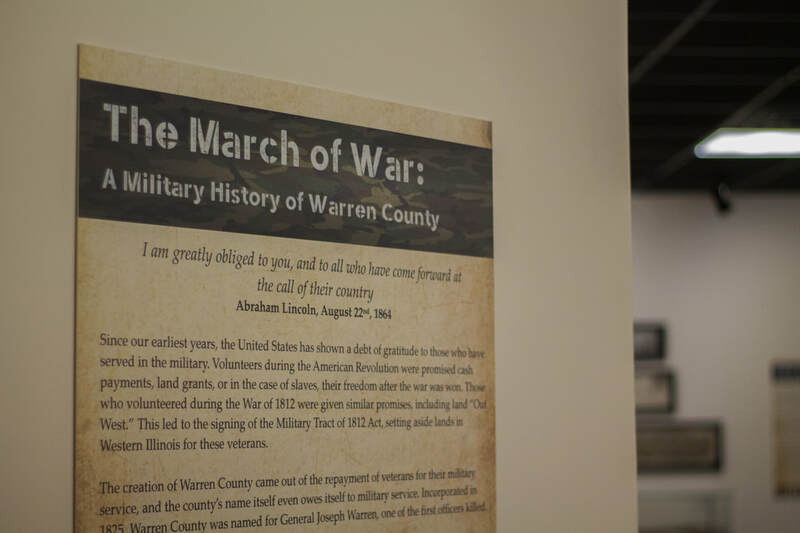 The first exhibit that will be showcased will be “The March of War: A Military History of Warren County.” This exhibition goes through many of the U.S. wars and their relation to Warren County. Some of the conflicts include both of the World Wars, the Korean War, and the Mexican-American War, among others. 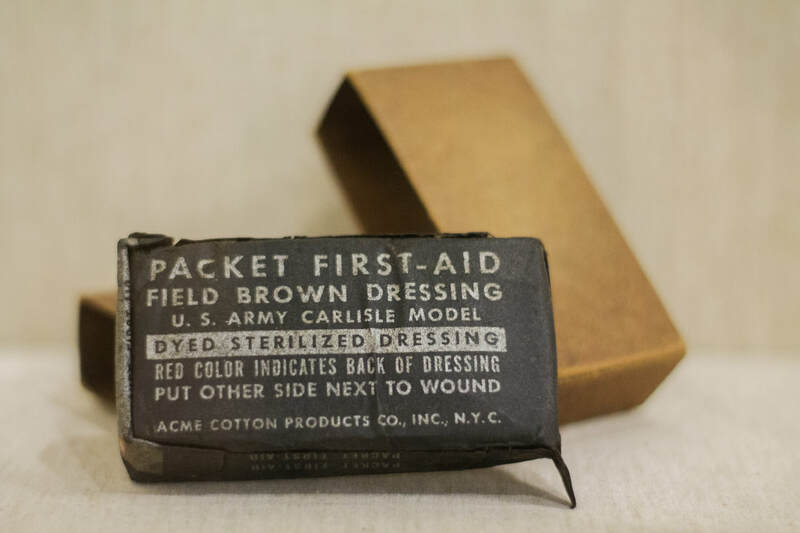 While most of the objects are actual artifacts from the wars, some are not directly related, but they are representative of the wars and their time. When Kellen Hinrichsen arrived as a new employee to the museum, he came up with the idea of curating the exhibit that recounted these wars. “When I got here, I wanted to introduce myself to the collections, and I noticed right away that we’ve got a very large and broad collection of military artifacts, and this is an area where people are very proud of military heritage and history. So it’s a unique story to tell.” Hinrichsen spent over a year curating the exhibit, as well as performing the other duties that come along with the process such as: picking the best artifacts to include, research, and designing and writing the copy to go on the panels that will be on display. The renovation of the gallery space took about three and a half months to complete, due to some unforeseen complications during the process. Despite that, the upgraded gallery now has locks for the storage rooms, as well as extra space for storage. Hinrichsen shared, “I love it. I’m very excited, because the space that we had before was just a massive room that had never really been completed. It was big, it was unwieldy, and the majority of the space wasn’t usable. Now we’ve got the modern gallery space that is completely designed for a museum exhibit.” A couple of the rooms surrounding the renovated area will be used for semi-permanent exhibits, while others will also be used for storage. 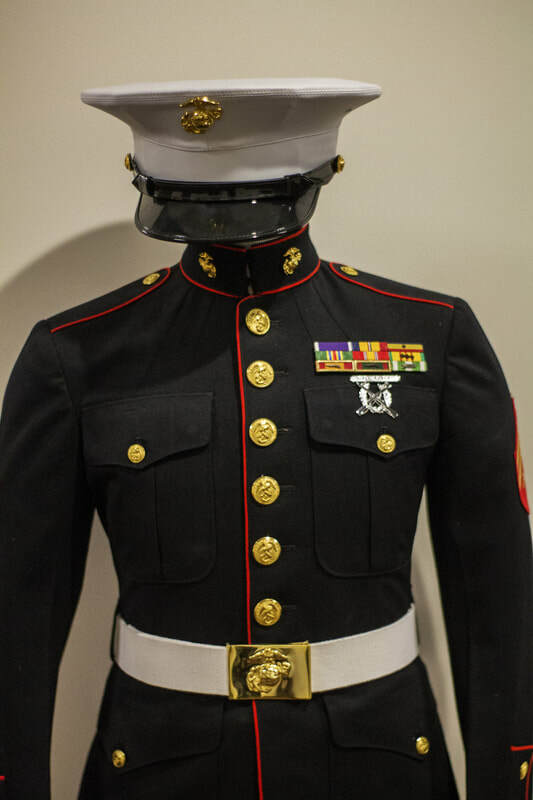 Some of the highlights of this upcoming exhibit include uniforms from WWII, the Persian Gulf War, the Cold War, and from a Vietnam-era Marine. Firearms from the Mexican- American War that were used by soldiers from Warren County will also be on display. One of the text panels of the exhibit is dedicated to telling the story of Captain Robert Dunlap, who is considered a hero from the county. President Harry Truman presented Dunlap with the Medal of Honor for his courage during battle. He was also an alum from Monmouth College, and had Dunlap Terrace named after him. The ribbon-cutting ceremony for the opening of this exhibition will be on Tuesday August 22nd, at 2:00pm. 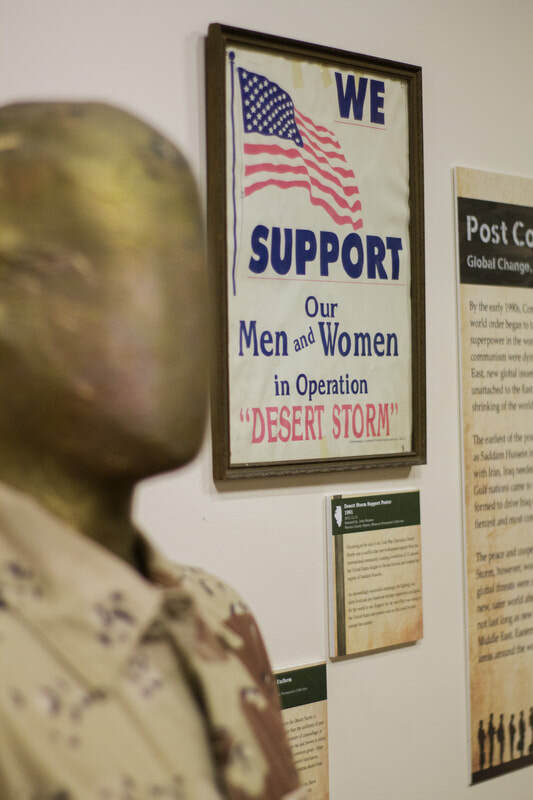 These war stories will be on display at the museum through December of this year. Next year, this new gallery will be featuring an exhibit on The Great Nicola. Depending on a grant application, halfway through the year, the museum will be presenting a Smithsonian curated traveling exhibit; which will then run from October to December of 2018. Contrary to the popular belief that Camp Ellis was built to keep prisoners of war (POWs), it was originally built to train soldiers and help with medical training for the army during World War II. 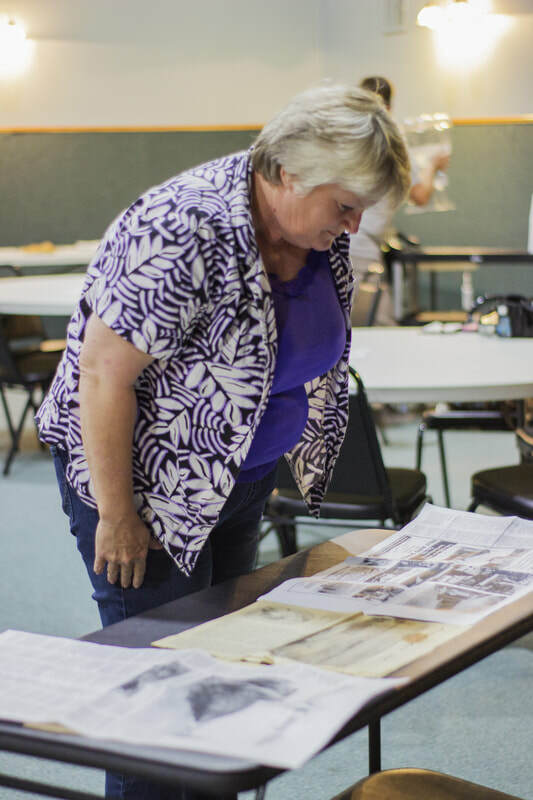 Marcia Morgan, a retired junior high social studies teacher, became interested in researching more about Camp Ellis after visiting the Easley Pioneer Museum. She shared that it brought back memories of the camp when it was still functioning. Morgan was able to do a presentation on her knowledge of Camp Ellis at the Warren County History Museum (WCHM) last Tuesday. During and after the program, the WCHM exhibits were open for the guests to view. 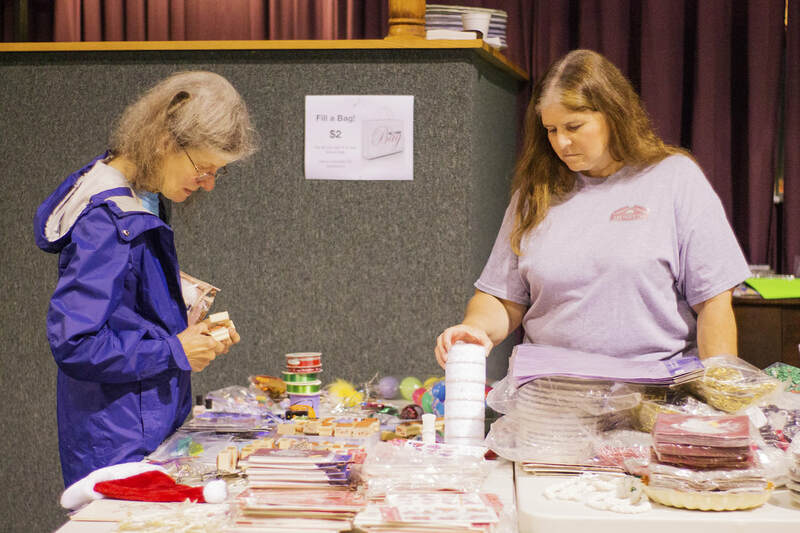 Gift wrapping goods were available for sale, and light refreshments were provided. Morgan began by greeting the large crowd and saying various of the nicknames that Camp Ellis had, like “Swamp Ellis,” “Ellis Island,” and “Lake Ellis;” all of these were given because of the heavy rain that fell in that area at the time. 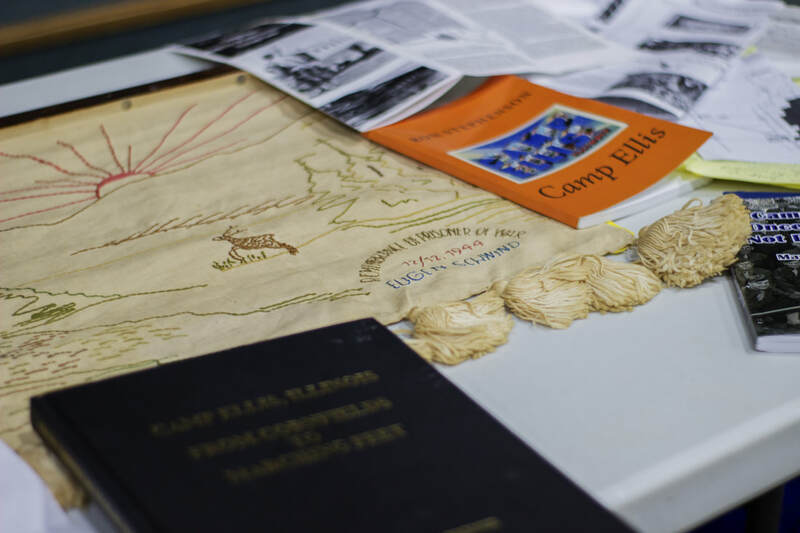 Ever since Morgan became interested in the history of Camp Ellis, she spent time researching books, collecting newspapers of the war time, and even talked to people who were a part of the camp, to gather testimonials and learn more about it. Morgan said, “If we don’t discuss it, it’s going to be completely forgotten. It’s just gonna disappear. There just aren’t a whole lot of young people who have ever heard of this place. Not every boy that went to Camp Ellis came back, they died in Europe, and I just don’t think it’s right to forget that.” This is one of the reasons that Morgan likes to talk about this subject, and hope to educate others of its history. The camp site had become a community of many army men, and it became so large that it even had its own newspaper, radio station, and victory garden. The garden produced tons of vegetables that were used to feed the thousands of men at camp Ellis. Although the encampment was not originally built to hold POWs, it certainly evolved into it. Germans, Italians, and Austrians were there, and it was rumored that Japanese people might have been kept there as well, but it is not certain. However, only about 330 of those Germans were said to be Nazis, while the other 5,000 were “happy to be there,” Morgan mentioned. According to Morgan, the prisoners were not forced to work on a daily basis, but if they did, they would be paid 80 cents per day; and they were not allowed to work in the rain. Other prisoners practiced crafting through carving or stitching. Morgan showed everyone at the program one of the banners that was made by one of the POWs with stitching. The subject matter of the banner was a village, which might have been where the person came from. Testimonials from actual POWs at Camp Ellis are very difficult to find, if any are in existence; but Morgan believes their treatment was humane. “The war itself was bad, but I think Camp Ellis was an example of the best of America; with the way [the POWs] were treated by the community,” Morgan added. Today, not much is left of what was the largest army hospital complex at the time. The sewage plant is one of the remaining artifacts of the camp, and can be seen on the road when passing by the site. Morgan shared that people are still being sent into the camp site to search for hand grenades that may have been left behind. The Easley Pioneer Museum is located in Ipava, IL., near where the camp used to be, and it houses many artifacts from that time. The museum will be hosting its annual “Camp Ellis Days Festival” on September 9th, beginning at 10 a.m. The sale was a bit slow early in the morning, most likely due to the rain. However, by mid morning many community members had stopped by to take advantage of the deals. 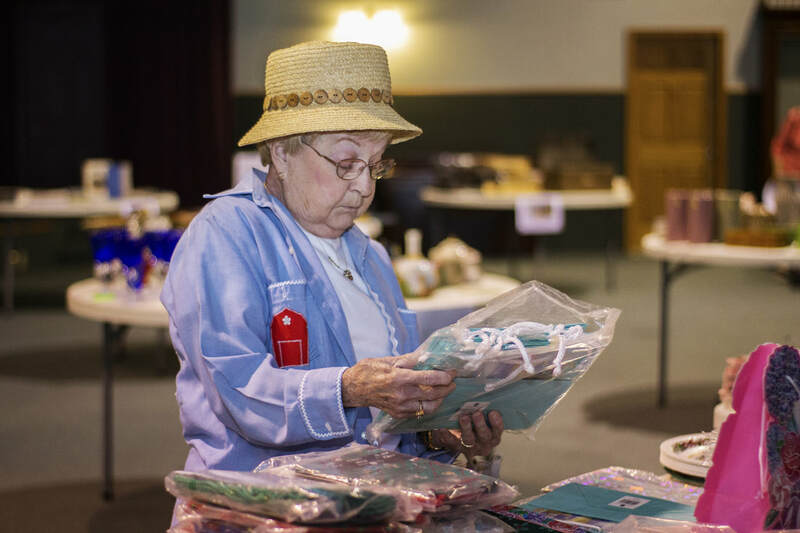 Several of the board members and volunteers also purchased items at the sale. One of the most popular tables at the sale was the “fill-a-bag” table. Customers were able to fill a relatively large bag with holiday goodies, holiday plates, gift wrapping paper, and gift bags for only two dollars. 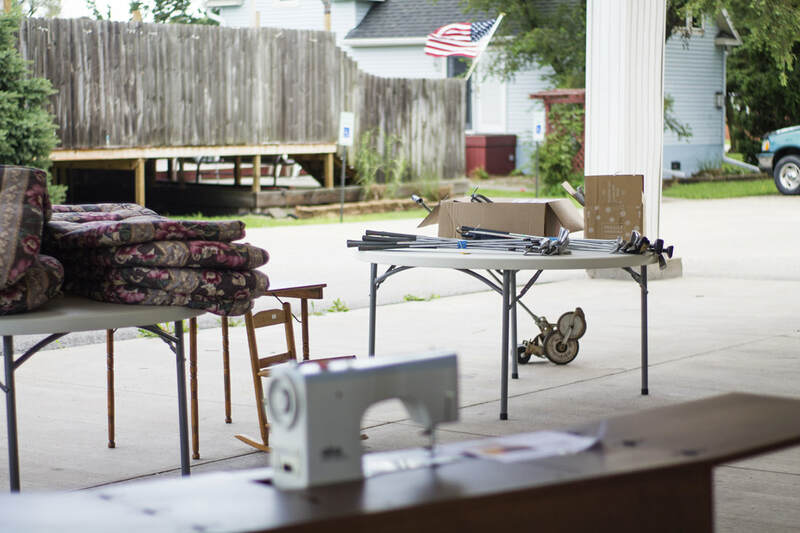 This year’s sale did not have as many big ticket items as last year, but there was a barbecue grill and a sewing machine that were highly sought after. After noon, the already inexpensive items were being sold for half off the original price; with many people being surprised at their low-cost checkout totals. Ultimately, all of the money raised during the garage sale would go towards the preservation of the objects in the museum’s collections, which is a very expensive task. Hinrichsen had previously shared that any one item in the collections can cost at least $50 to preserve. 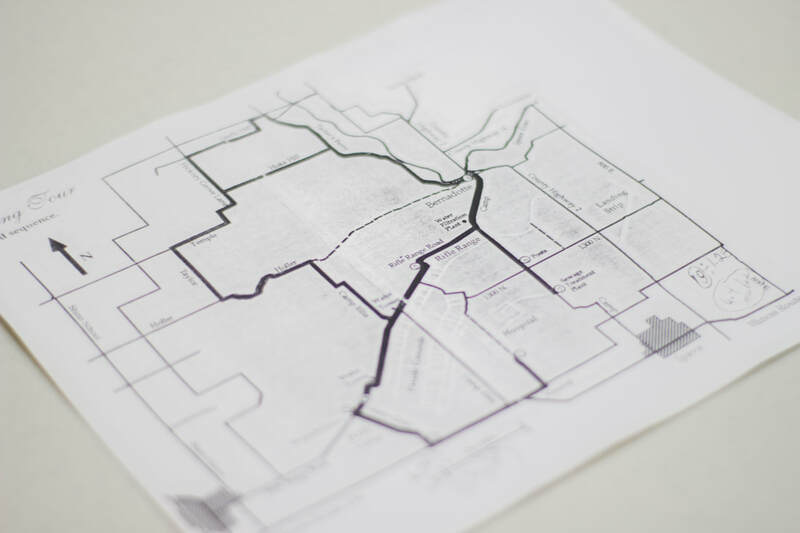 “[The money raised] will have a pretty sizeable impact. 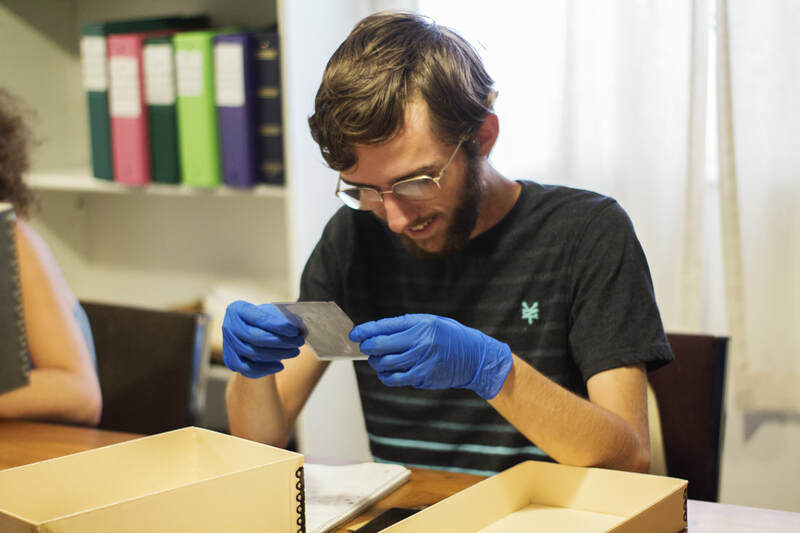 We typically budget around $2,000 a year for preservation, so that nearly gives us fifty percent of that. That’s pretty substantial, and that will be able to get us quite a few new boxes to rehouse the objects,” he added. 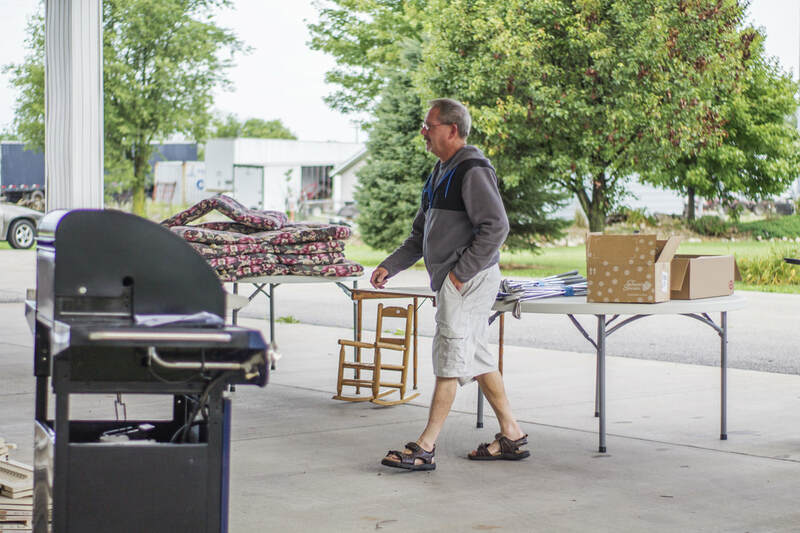 Although this garage sale fundraising idea has been very well received by the community and the WCHM board members, Hinrichsen is not too sure it will continue next year. By calculating if the money earned is worth all of the effort and time that was needed to organize the sale, and sending out a survey to see if the community is interested in seeing it again, will determine if this will continue to be an annual thing. Other upcoming fundraising ideas that the WCHM is thinking about having is a more traditional dinner with speakers who could come and talk about the importance of preservation; and having workshops to teach community members about museum studies. 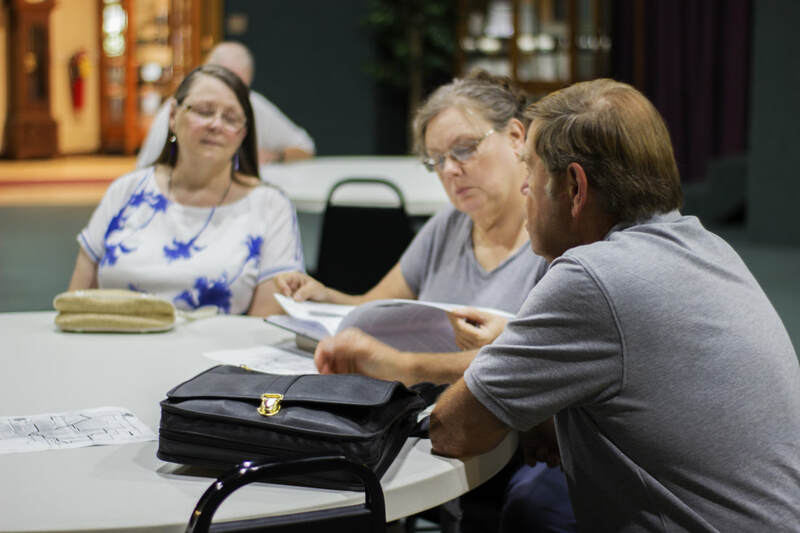 Overall, the museum staff was very grateful with the turnout, the help they received from the community with donations and volunteering, and the income that will help to care for the county’s treasured artifacts. The Warren County History Museum is the home to many artifacts from the Monmouth community, including a copy of Vicksburg’s paper from the civil war and the clock face and mechanisms from the old courthouse. However, the proper individual preservation of these items can be very expensive. 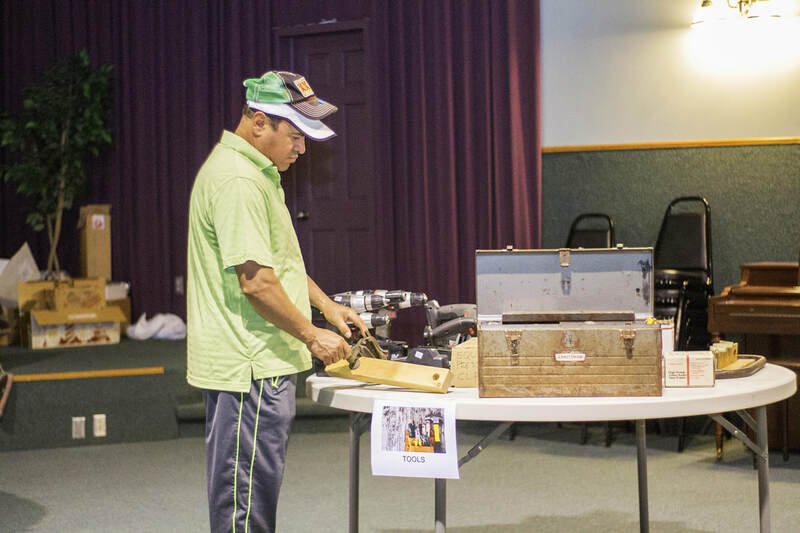 Museum director, Kellen Henrichsen said “Any one of the objects that we have is going to cost at least fifty dollars to properly preserve.” So in order to raise money for these artifacts, the museum will be having their second annual garage sale.